Knight Rider isn’t just getting a reboot. 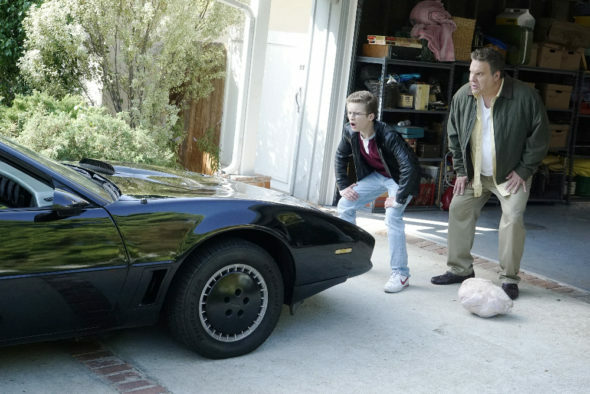 This week, ABC announced the show’s famous talking car, KITT, will appear in an upcoming episode of The Goldbergs. Set in the 1980s, the sitcom revolves around a family from Jenkintown, Pennsylvania. The cast includes Sean Giambrone, Patton Oswalt, Wendi McLendon-Covey, Troy Gentile, Hayley Orrantia, George Segal, and Jeff Garlin. In the upcoming episode, titled “Ho-ly K.I.T.T.,” Murray (Garlin) and Uncle Marvin (Dan Fogler) “bond over their love of “Knight Rider” and attend the Philadelphia Thanksgiving Day parade to see K.I.T.T. in person.” The episode airs on November 16th at 8 p.m. ET/PT. p.m. EST), on the ABC Television Network. 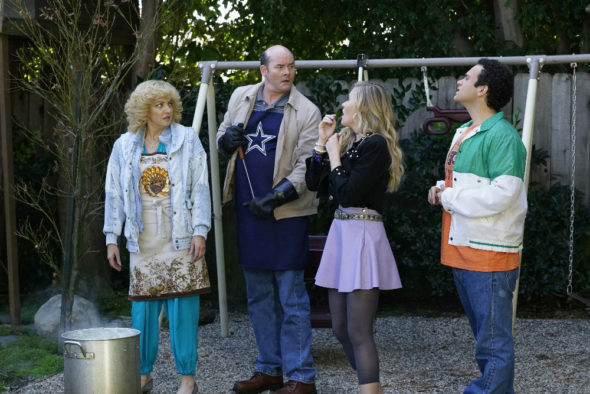 “The Goldbergs” stars Wendi McLendon-Covey (“Bridesmaids”) as Beverly Goldberg, Patton Oswalt (“Ratatouille”) as adult Adam Goldberg, Sean Giambrone as Adam Goldberg, Troy Gentile (“Good Luck Chuck”) as Barry Goldberg, Hayley Orrantia (“The X Factor”) as Erica Goldberg, AJ Michalka as Lainey Lewis, with George Segal (“Just Shoot Me”) as Pops Solomon and Jeff Garlin (“Curb Your Enthusiasm”) as Murray Goldberg. Guest starring are David Koechner as Bill Lewis, Dan Fogler as Marvin Goldberg and Sam Lerner as Geoff Schwartz. “Ho-ly K.I.T.T.” was written by Andrew Secunda and directed by Lea Thompson. What do you think? Do you watch The Goldbergs? Were you a fan of Knight Rider in the ’80s? More about: ABC TV shows: canceled or renewed?, The Goldbergs, The Goldbergs: canceled or renewed? The Goldbergs: Is the ABC TV Series Cancelled or Renewed for Season Five? Big fan of Knight Rider. Even have my own KITT. I wonder who this KITT belongs to. Post some pictures of yours! I always love seeing replicas. I once considered buying one of the prop cars used when KITT was shown driving by itself. There was an auto museum in Florida that went out of business a decade or so back and was selling off their collection that included this car as well as a mint DeLorean. I saw your name in the credits! 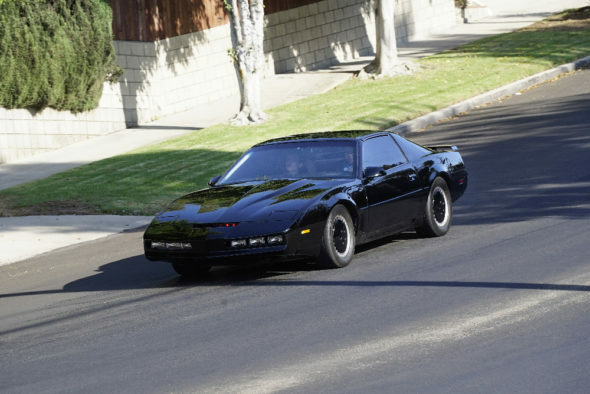 Who’s KITT replica is that? I’ve rarely seen any with the 3 fog lights like on the season 1 KITT.